de Bakker, J.W. (1977). Semantics and the foundations of program proving. In B Gilchrist (Ed. 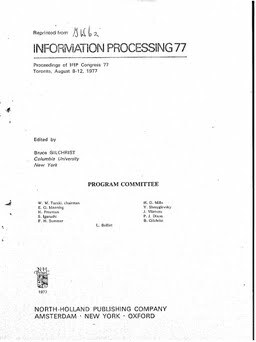 ), Information processing 77 : proceedings of IFIP congress 77, Toronto, Canada, 08-12.08.1977. North-Holland.